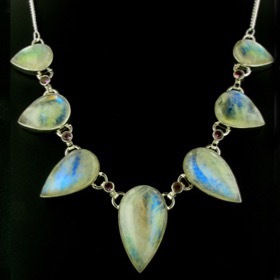 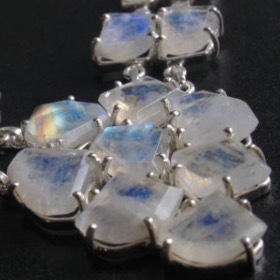 A rainbow moonstone necklace has many moods depending on the light - cloudy white in some lights, blue and gleaming with rainbow colours in others. 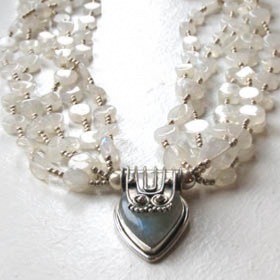 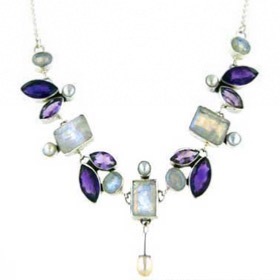 Moonstone is the June birthstone - a moonstone silver necklace makes a perfect personal gift. 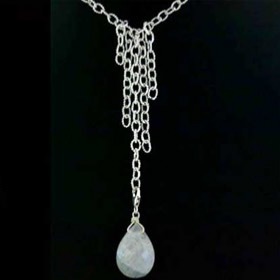 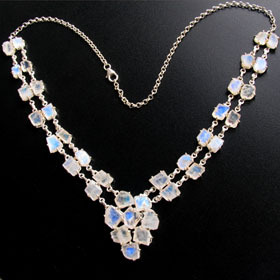 If a single moonstone necklace is more your style, see our moonstone pendants and silver chains. 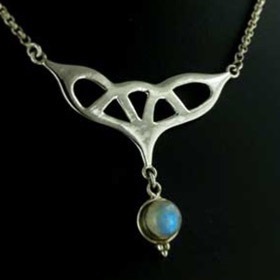 Enjoy free delivery anywhere in the UK on your silver moonstone necklace.